When your friends and family want to see you and your partner together, there is something to savor. Sometimes outside perspective is needed to see things you are too close and emotionally invested in to appreciate or view clearly. Don’t base the value of your relationship on the opinion of others, but listen to the voices you love and respect. 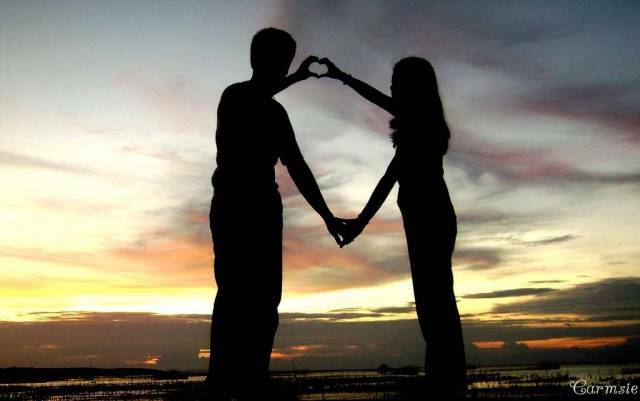 Read: Does your relationship have these 6 characteristics of happy couples? When a fight does break out, it’s a clean one. Your arguments work toward resolving issues and solving problems while still appreciating each other’s feelings and needs. Your issues are new issues. Past problems actually get worked out and don’t come back up to bite you. Old resentments don’t get brought up in new arguments, and old dirt doesn’t get thrown around in current conversations. You’re both willing to put in the work. You jump into action without skipping a beat, and you work on an issue until it’s over. No hesitations. You and your partner are evolving together emotionally, mentally and spiritually. Growing closer is easy and a natural course of your relationship. You are both naturally changing for the better because you are happier being who you are this new way. Not because he asked you to change, and certainly not to keep him. Maybe you never wanted children, and now you can’t wait to be a parent with your partner. Or maybe he always needed his space, and now being away from you feels incomplete. You don’t see yourself or your life without him. And you know he feels the same way. “Love” rolls off the tongue effortlessly. You can’t imagine not saying it; that would hurt too much. You need to say it, you want to say it and it brings you joy. And it’s the same for him. There’s just something cosmic that pulls you two back together when you drift apart. It’s unexplainable. But it’s there. And it’s always for the better for both of you. You don’t see anyone else as a potential partner, and you’re not interested in building any kind of connection with another. No one comes close to the amazing person you have. Physical attraction may pop in and surprise you, but the desire for intimacy or emotional connection doesn’t develop. Knowing when you are right where you should be can be difficult in the midst of it. Hindsight may be 20/20, and if you’re the type that doesn’t know what you’ve got until it’s gone, keep your eyes open and see what blessings you have in your love. Let this list encourage you to keep going and keep the faith when the road gets rough and blue skies go gray. You can build a beautiful home for yourself and your family when you appreciate everything and everyone in it. What if your forever soul mate feels as you do but he’s staying in a marriage for financial and obligatory reasons?